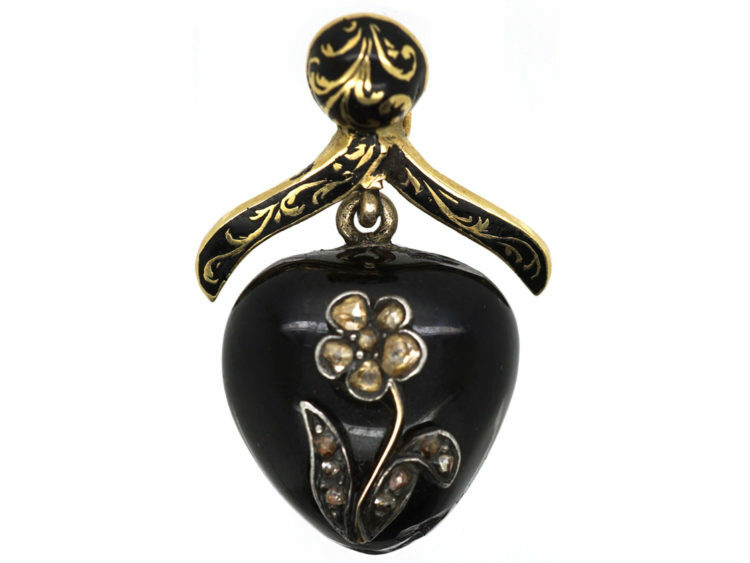 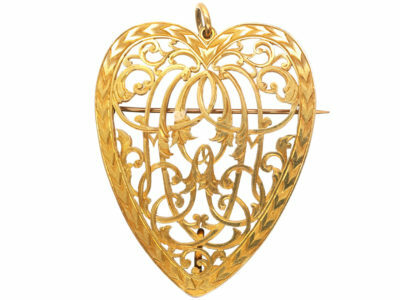 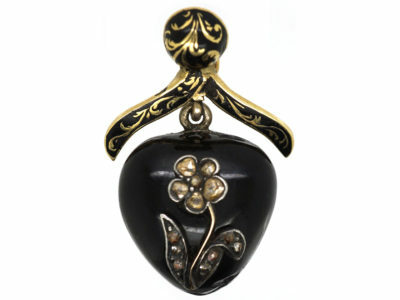 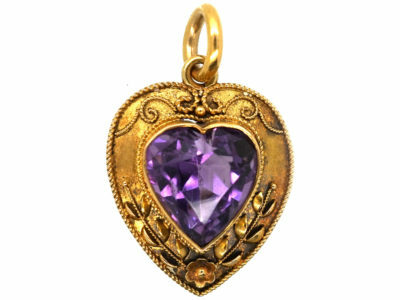 An unusual heart shaped pendant with a pansy set with rose diamonds in the centre. 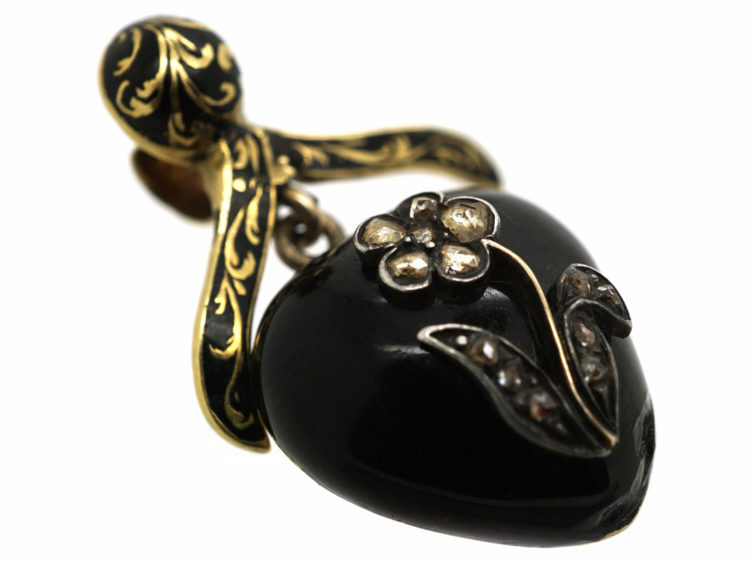 The pansy meant “Pense a moi” French for “Think of me” which was a pun on the word “Pansy”. 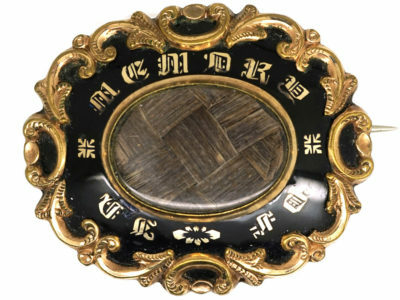 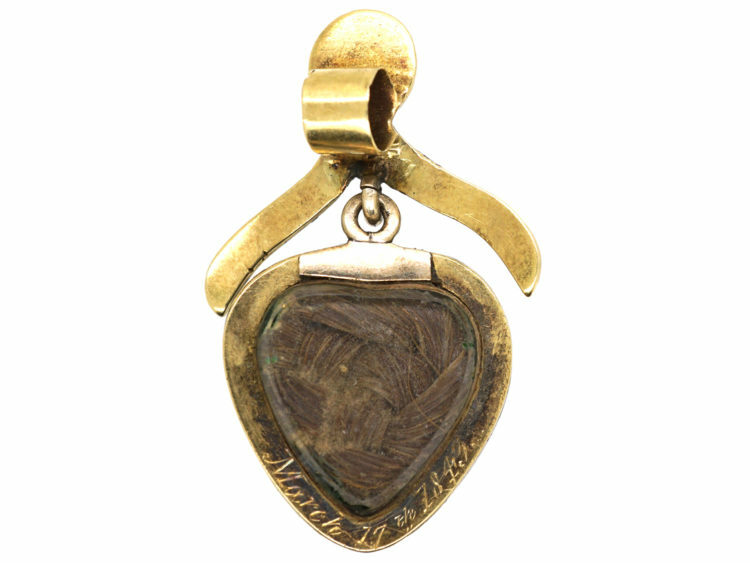 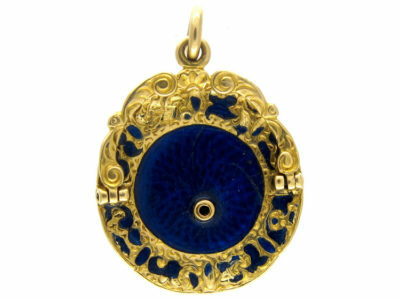 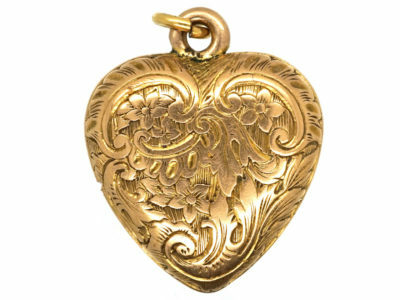 It was most likely a mourning piece as engraved on the reverse is “march 17th 1843” There is a locket section on the back that contains woven hair. 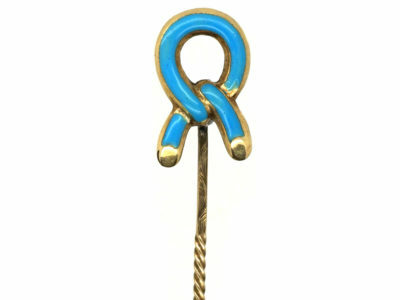 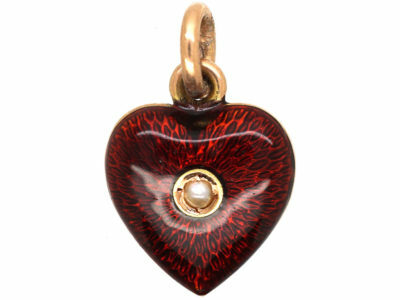 Above the heart is an enamelled ribbon design with a loop at the back for a chain. 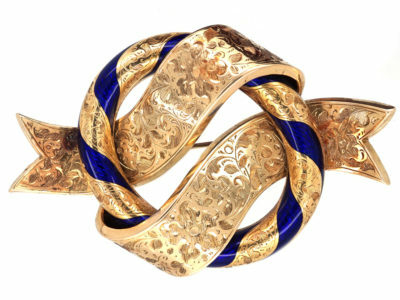 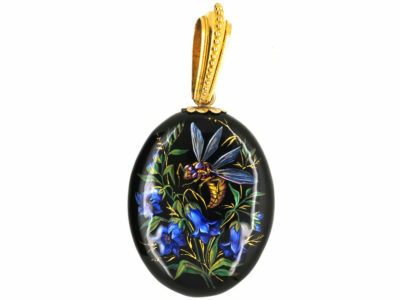 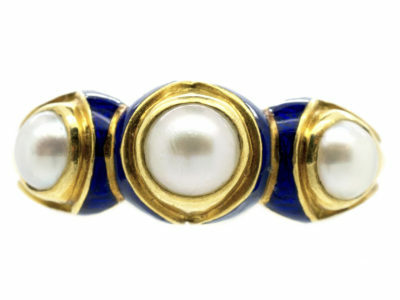 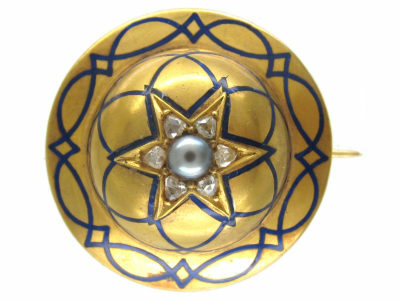 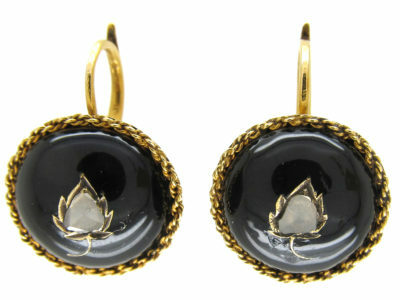 It is a striking piece of jewellery.